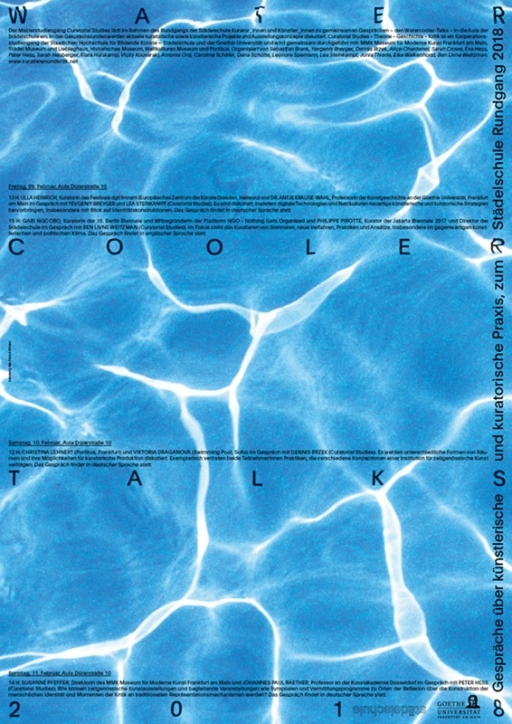 Poster design for Watercooler Talks 2018. A series of talks held with artists and curators during the Rundgang weekend. Organized by the Curatorial Studies Masters program of Städelschule Frankfurt.